I'm Johanne. I live in Saint John, New Brunswick and have been making handmade greeting cards for years. When I was little, my mother and I always made our own cards for special occasions using images from books and magazines or by recycling old greeting cards and calendars. Images would be glued onto construction paper and usually had curly ribbon threaded through punched holes to hold the card together or as an added design element. Card-making supplies at that time were nothing more than glue, scissors, a ruler and a hole punch. Things sure have changed! Today I continue to make custom greeting cards for friends and family, and I sell some at local craft shows and online. Card making has always been around me though my interest in it has grown more and more in recent years, thanks to a workshop I attended a few years ago, put on by my friend Darlene. Her workshop renewed my passion for pretty papers and all things sparkly and girly where handmade greeting cards are concerned. I hadn't realized how much the industry had grown since my earlier construction paper days (boy that paper was awful compared to the amazing cardstocks I use today!). Now I have a craft room pretty much dedicated to card making, with loads of papers, ribbons, stickers, glitter, and all kinds of cool tools and technology, and I love every bit of it. Oddly enough, I do not scrapbook at all. I prefer the satisfaction I get from being able to create something pretty in a short amount of time. I also love that people seem to appreciate handmade greeting cards so much and tend to hold on to them for much longer than commercial ones. 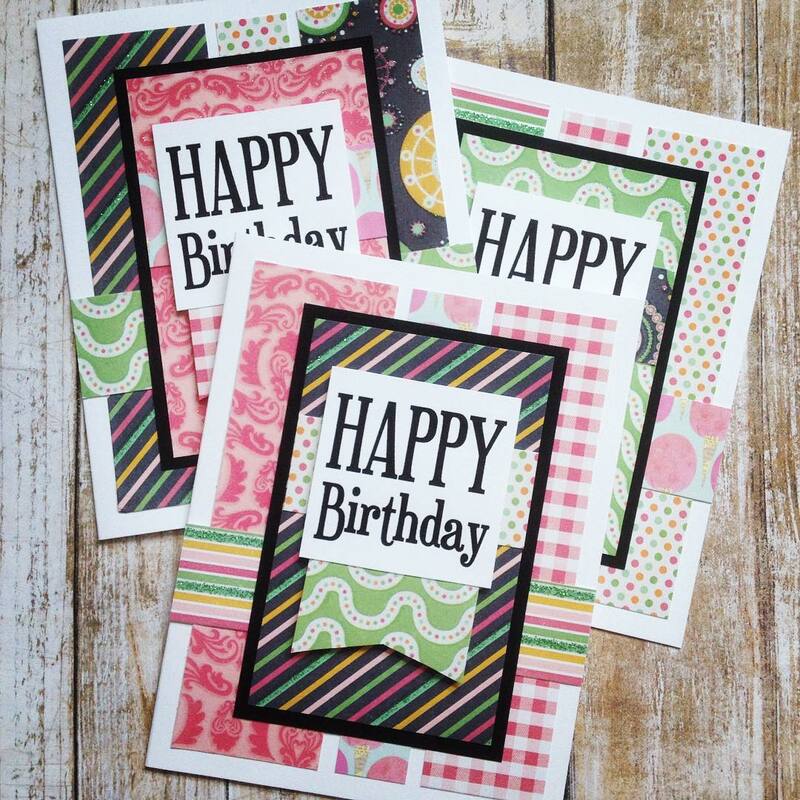 Custom greeting card requests make me especially happy because I love the challenge of designing a card just for a specific person and occasion. If you need a custom greeting card, just let me know. Cards are one of those rare things which are bought or made specifically to be given away. We generally don't buy cards for ourselves, which makes cards a rather unique item in that respect. Over and over I hear how well-received my cards are. People are very happy to receive unique cards, selected or made with them in mind. I have been told that card recipients have commented on their cards long after receiving them, and some have even framed, displayed or kept their card as a special keepsake.